Ships today if you order in the next 5 hours 25 minutes. 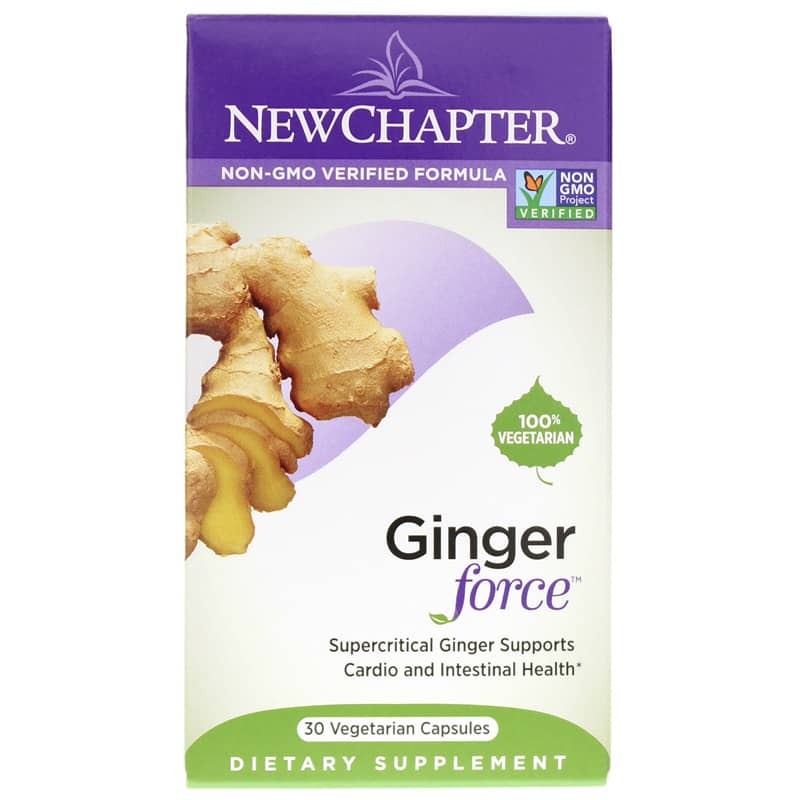 Ginger Force from New Chapter is a dietary supplement that seeks to support a healthy cardiovascular and gastrointestinal system. This formula contains two extracts from the rhizome of ginger: Hydroethanolic extract and supercritical extract. 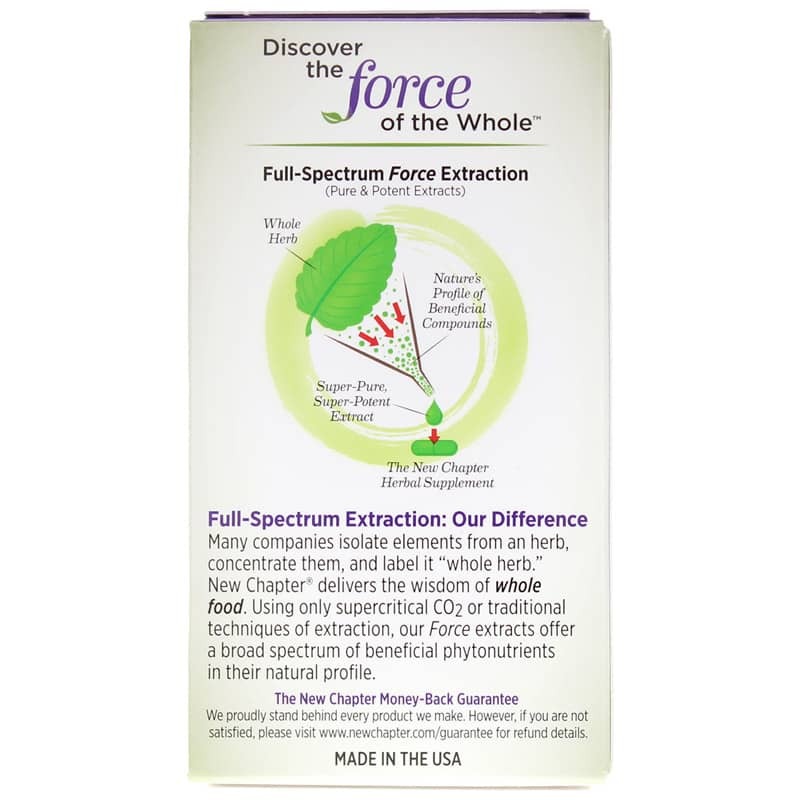 Supercritical extract of rosemary is added for optimal potency. Ginger is believed to contain medicinal properties from the chemical compound gingerol, which acts similar to capsaicin found in peppers. 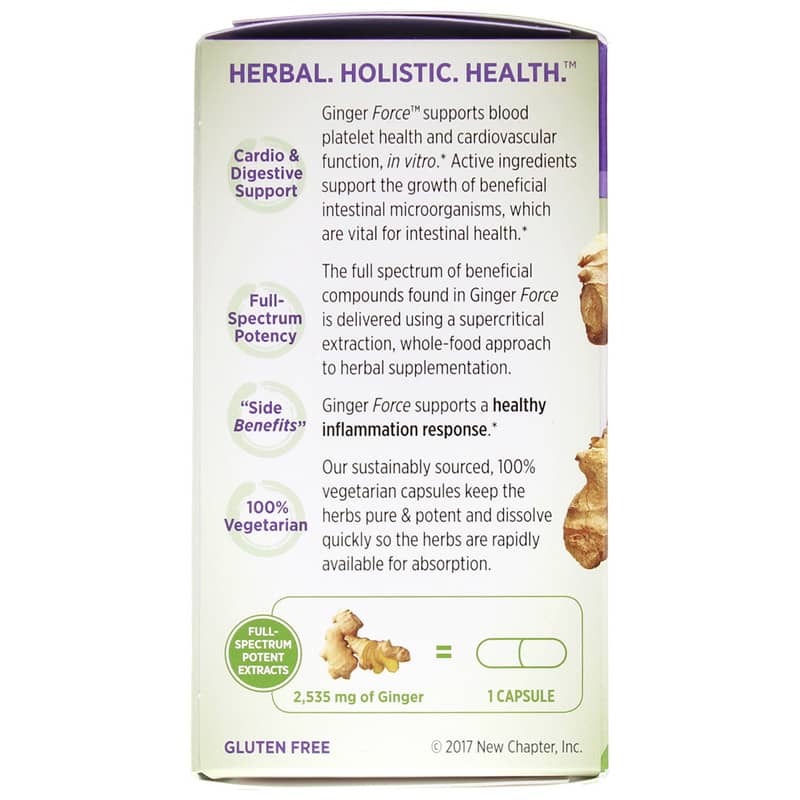 During metabolism, gingerol undergoes biosynthesis and seeks to support healthy connective tissue, a healthy digestive tract, and temporary relief from occasional pain. Rosemary is a perennial herb with a fragrance similar to evergreens. Rosemary contains phytochemicals that may support a healthy digestive system, maintain normal acid production in the stomach, and support healthy-looking skin. Daily challenges and normal aging may leave your body needing support. With this formula, you can help maintain normal gastrointestinal health and support a healthy cardiovascular system. Other Ingredients: extra-virgin olive oil, hypromellose (capsule), organic yellow beeswax, candelilla wax, and organic sunflower oil. 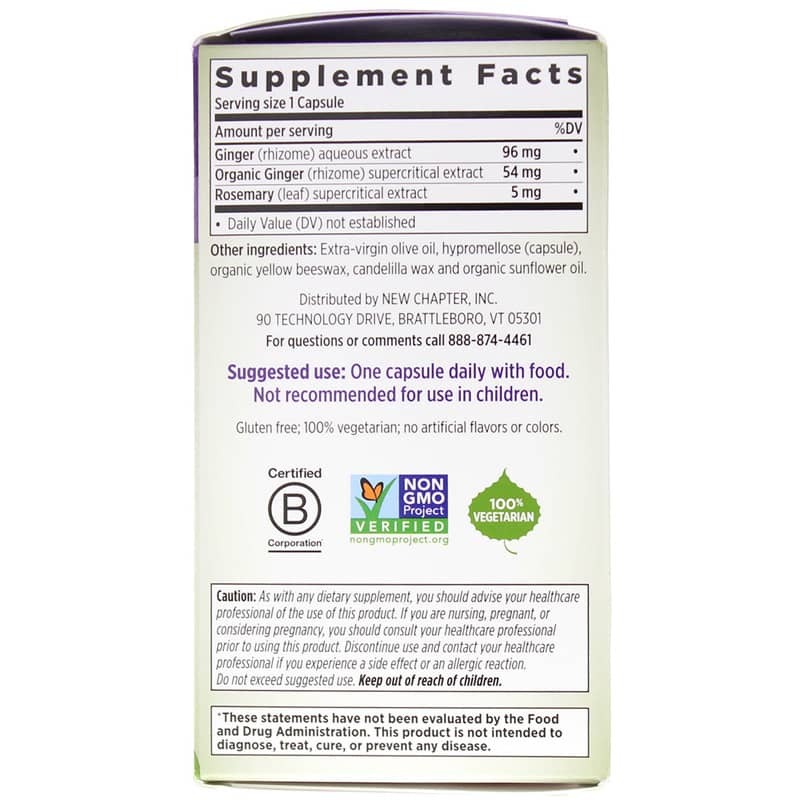 Adults: One capsule daily with food. Not recommended for children. As with any dietary or herbal supplement, you should advise your health care practitioner of the use of this product. If you are nursing, pregnant, or considering pregnancy, you should consult your healthcare practitioner prior to using this product. Keep out of the reach of children.